New Smokey Amps! Powered by 9 Volt batteries. Use the amp on it's own or plug it into a speaker cabinet for monster tone! 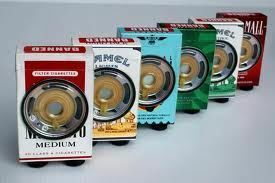 Amps come in original assorted cigarette packages or polycarbon case.